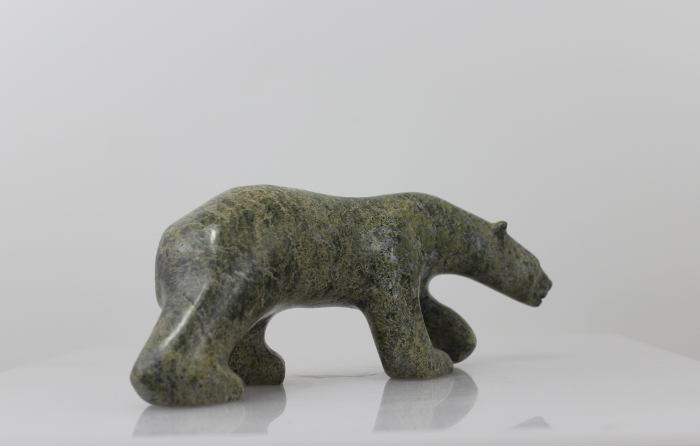 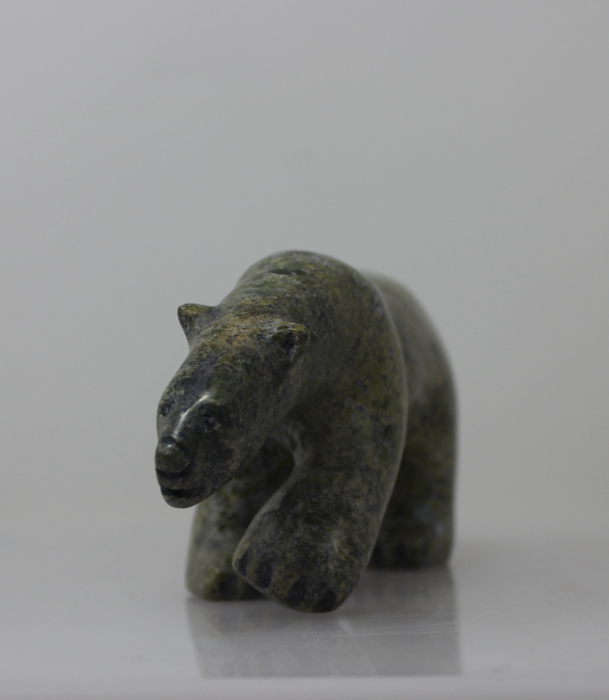 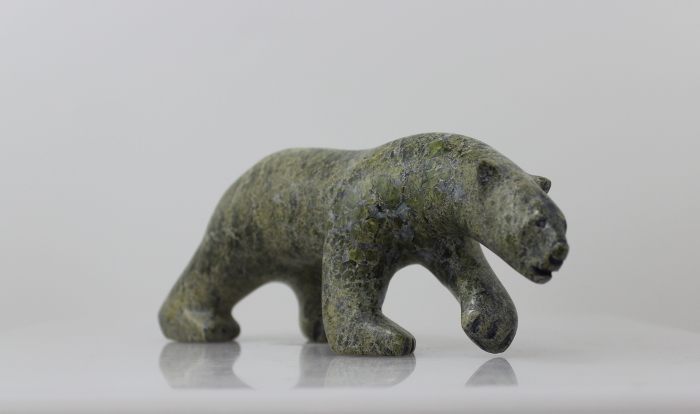 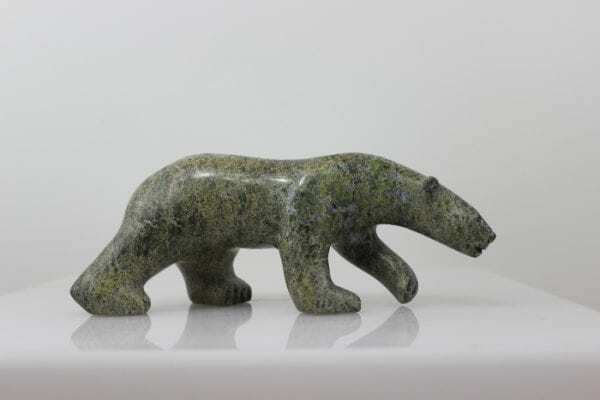 Gorgeous walking bear by Cape Dorset artist Aggiak Petaloosie. 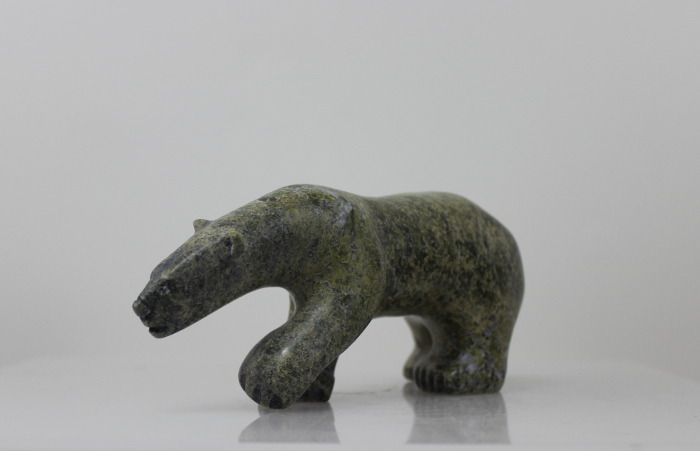 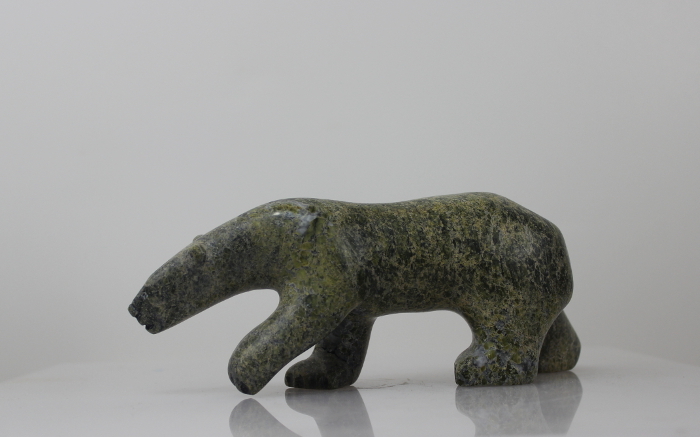 This lovely serpentine carving is a wonderful piece of Inuit art. 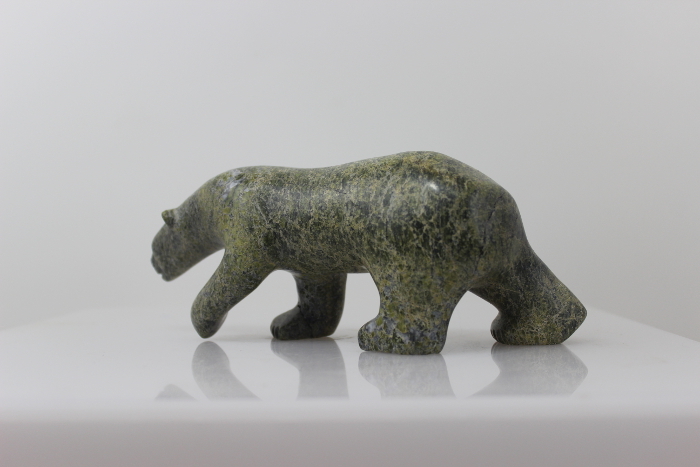 The lines are fantastic and the piece has a great sense of movement.